When you look down from upon the cliffs to the shore below in the arms of the one you love there can be no better feeling. 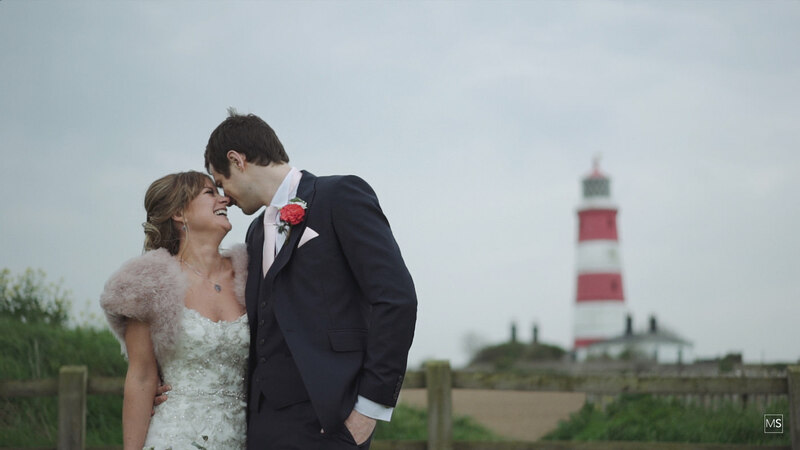 It’s not every day I get the chance to take in two impressive wedding venues, an epic cliff top church, a lighthouse and two awesome people entirely in love. 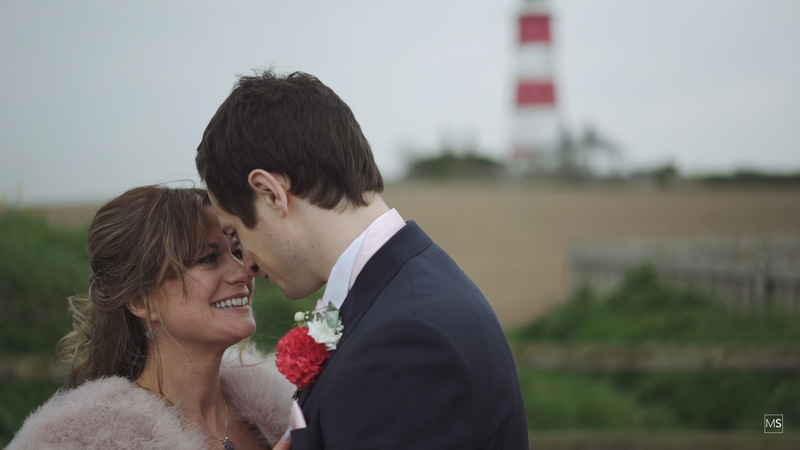 Firstly it was off to The Norfolk Mead where both bride and groom were getting ready in different parts of the hotel. 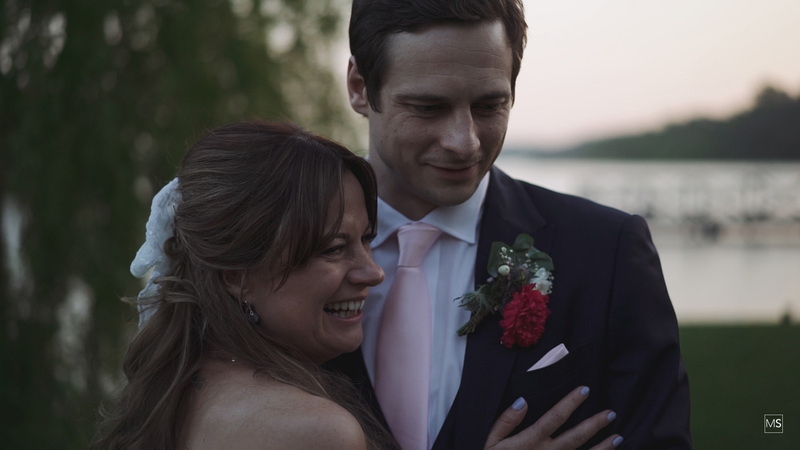 I popped up to see Will and got some very chilled footage as he got ready with his two best men then it was over to the bride’s room which was bubbling along with Lorraine and her Bridesmaids having a good giggle while they got ready. 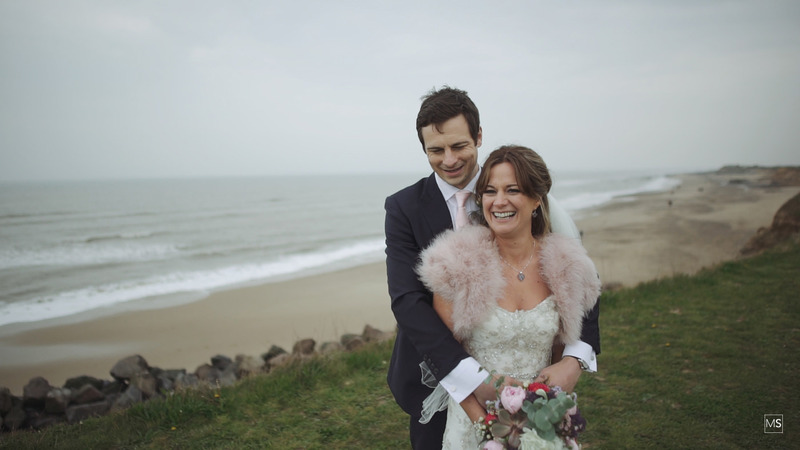 Big shout out to Tracey Wood who was in charge of Hair. 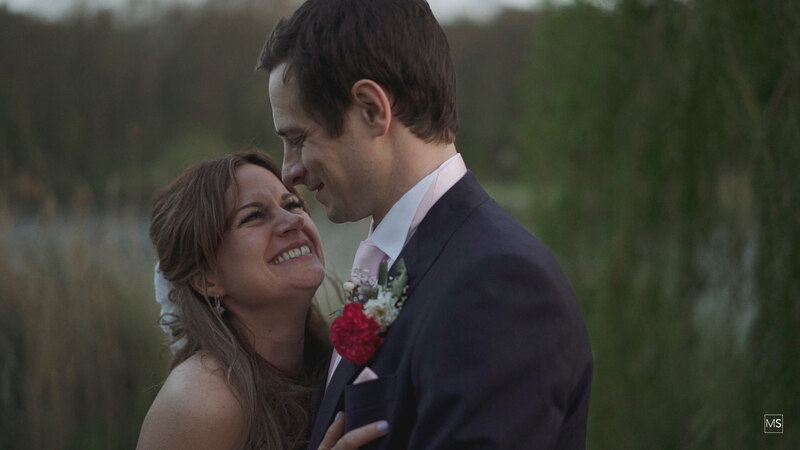 Lorraine’s bridesmaids were wearing beautiful matching floral dresses added a lovely spring colour, and as they helped Lorraine into her dress, there was a remarkable mixture of nerves and excitement. 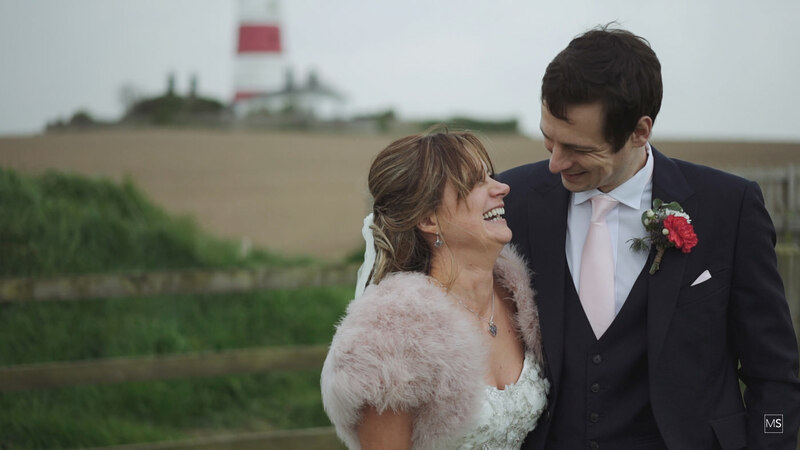 The couple headed to the stunning Happisburgh Church which holds a very special connection with Lorraine, and you could see her sister was so proud as she escorted her down the aisle to where Will was waiting. 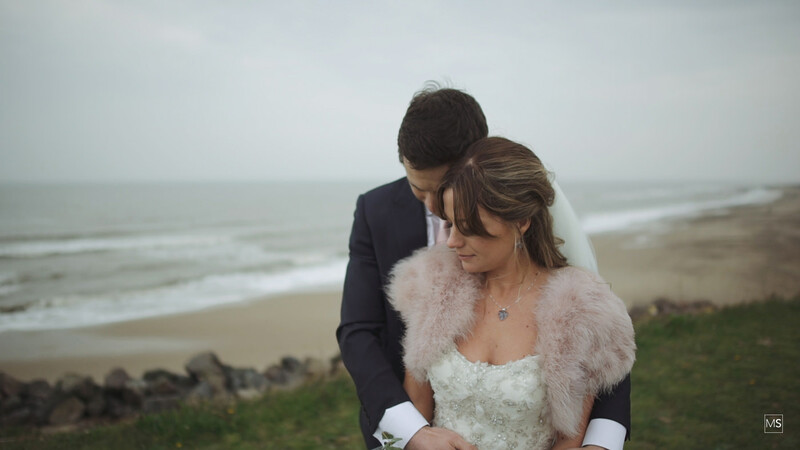 After the perfect service, the couple popped by the lighthouse for the chance to capture some gorgeous shots on the cliffs overlooking the beach. 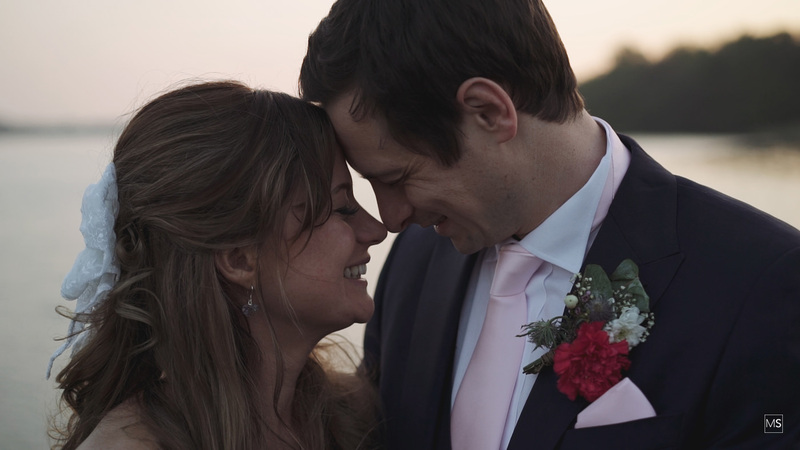 Our last trip on the road took us to the excellent Boat House where all their guests were entertained with some cracking speeches and the dance floor rocked all night!